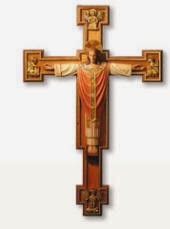 The Crucifix depicted above is much like one that is above my desk at All Saints'. It depicts what is these days referred to as Christus Rex or Christ the King. The Feast of Christ the King is celebrated on the last Sunday of the Pentecost Season. 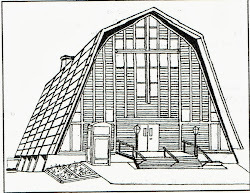 As a festival it is relatively modern, originating in Roman Catholic practice. Even so the notion of Christ's rule is quite ancient and has been a part of Christian belief and practice for close to 2000 years. There are Orthodox Icons of Christ Pantocrator that are quite ancient. 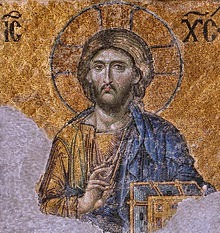 Christ Pantocrator meaning Christ the Almighty. This year has been the year of Matthew, that is the Gospel of Matthew had been the major Gospel for our weekly Gospel readings. Matthew stresses the position of Jesus as the Messiah (Christ) and therefore the anointed King and ruler of the Jews. Yet Matthew points out that this kingship was denied by the Jewish Leaders and the Romans. Jesus Kingship does not exist in armies and weapons or for that matter in any form of force. Jesus' Kingship, his rule is over our hearts and souls and only to the extent that we submit ourselves. Christ's kingdom therefore lives within us. We now bring that kingdom into the world and the work of that kingdom originates within us. This is not a popular notion today especially in places where people are arrested for feeding the poor. But we must remember that we meet Christ when we help the disadvantaged, the sick and disabled. We feed Christ when we feed the poor. When we are callous and cruel to others we are callous and cruel to Christ! Meet Christ the King in your life. Reach out to Christ in your life and make Jesus the ruler of your heart and soul. Reach out to Christ by reaching out to the needy.